Inside: The ultimate guide on what to do if your newborn only sleeps when held. It’s that never-ending cycle many parents have come to dread. We spend over an hour (and sometimes more) putting our babies to sleep, but the minute we lay them down, their eyes flip wide open. Then it’s back to square one, all over again. In the first few weeks, I understood how much my baby needed me to put him to sleep. He’s a newborn, after all, one who had grown used to the rocking motion of the womb and had difficulty adjusting to his new environment. I even prided myself for being the only one who could successfully put him to sleep—in my arms, of course. But after a while, I began to wonder if I could’ve done things differently. Because it seemed like my baby—who at one point had been willing to nap in different ways—now would only sleep when he was held. The more he grew, the more he relied on sleeping in arms. He had a difficult time sleeping in ways we wanted him to, such as flat on his back, in his crib, or even in his stroller. While kids do outgrow certain habits, I also knew that some continue to linger, including sleep habits. Stories of parents rocking toddlers or sleeping with their three-year-olds made me wonder if I was setting myself up for years of sleep deprivation. I realized this wasn’t a sustainable way to keep going. No one was getting the quality of sleep and rest they needed, even the baby. I wanted him to be able to sleep not only in my arms, but in other arrangements as well. Perhaps you can relate. Maybe your baby only sleeps when he’s held or resting on your arm. He isn’t napping for longer than 45 minutes, and that’s if he naps. He’s too young to sleep train, and your bedtime relies on whenever he goes to sleep, since that seems to be the only thing that does the trick. And you’re beginning to wonder how long this will last. Because at some point, you know you’ll need to find a way to ease your baby out of your arms. As much as you want to comfort and hold him, you also worry you’re establishing bad habits. The result? You feel alone holding your baby day and night—stuck, hollow and desperate. It seems you have no moment to yourself to breathe. And you feel drained both mentally and physically. If this sounds like you, you’re not alone. We have all been there. But the good news is, you now have solutions to try. After I realized I couldn’t keep holding my baby to sleep every time, I tried different strategies to help him take to other sleep arrangements. I sought the right baby gear and tools to help make that sleep happen. I tweaked his daily schedule and changed the way I put him to sleep. And I implemented the habits that would encourage him to sleep anywhere else but my arms. These strategies not only worked with my eldest, but with his brothers as well. When my eldest was three-years-old, I gave birth to twins. I knew from the start I didn’t want to repeat many of the mistakes I made with my first baby. You can also imagine how impossible it is to hold two babies to sleep. I implemented these strategies and, even with two babies, saw a remarkable difference in how they took to sleep. I include all the tips that helped me get my babies to sleep well. They were still too young to be sleeping 12 hours straight just yet, but I was able to lengthen their sleep into longer stretches. They were also more willing to sleep without being held, and I was establishing the habits that could help them get the sleep we all needed. Now is the time to do something to help your baby sleep better. After all, have you fully considered what might happen if you don’t take action? How many hours of lost sleep is that going to cost you? “We recently purchased your Baby to Sleep PDF and have found a lot of the tips very helpful! We struggled with knowing when our daughter needed to nap or when we should start the process of putting her down. She often would fight sleeping or only sleep for minutes at best before waking up again—we had no real routine, and reading this guide helped us establish one. I feel more confident in getting her naps in and the structure has built a little routine for us where we previously didn’t have one. The tips have given us so much more freedom from carrying her and rocking her to sleep ALL the time. It’s made for a happier baby and happier parents!” -Jess A. “Getting my baby to sleep through the night with minimal wakeups was a huge challenge. Your ebook gave me tools to get my daughter through the early months and saved us many hours of lost sleep—thank you! !” -Shawna V.
“Hi Nina! I bought your ebook and read it during night feedings with my baby. Oh my word, we are doing so much better now! Naps are still a challenge and my sanity is still on the fence, but little by little we are making progress thanks to you! It felt so good to have someone empathize with us and have some sort of framework. Thank you so much for your support from afar, Nina. Harvey is my first baby, and having a guide is a life saver.” -Elsie R.
“Thank you so much for the book. Caring for a newborn is the hardest thing I have ever done! I had a hard time getting her to nap without being held, and before reading the book, my biggest challenge was timing naps based on wake times. I often waited until my baby was overtired, making it much harder to put her down. And I have already started to implement the strategies you recommended and almost immediately was able to get my baby to fall sleep outside of my arms. The book helped me build a routine and see the signs of tiredness, and I progressively was able to put my baby down near me and sometimes drowsy. As a new mom, you don’t realize how much time is spent getting your baby to sleep. 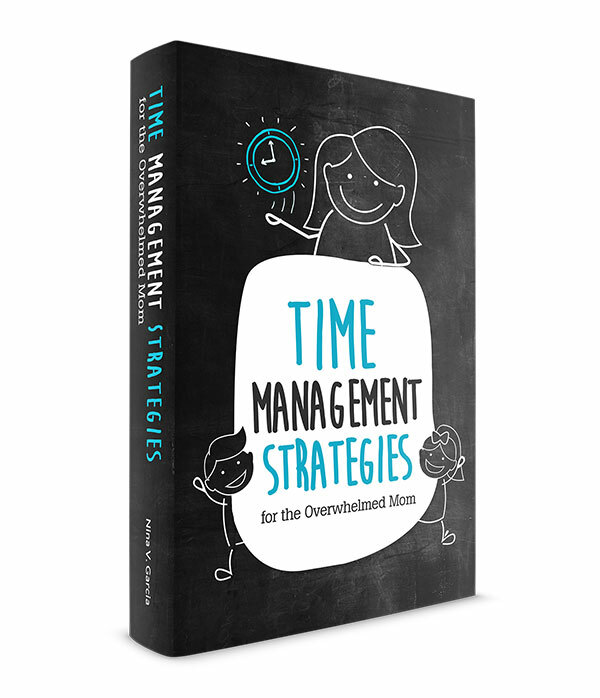 It was nice to read about other moms’ challenges and gain tools to manage.” -Danielle C.
“These are EXCELLENT tips.” -MaryAnne K.
With this guide, you’ll learn how to establish those habits, as well as get survival tips and gear to make it happen. And it has no fluff or vague messages—this quick read is straight to the point. If you’ve read other sleep books, you know how confusing many of them can be. 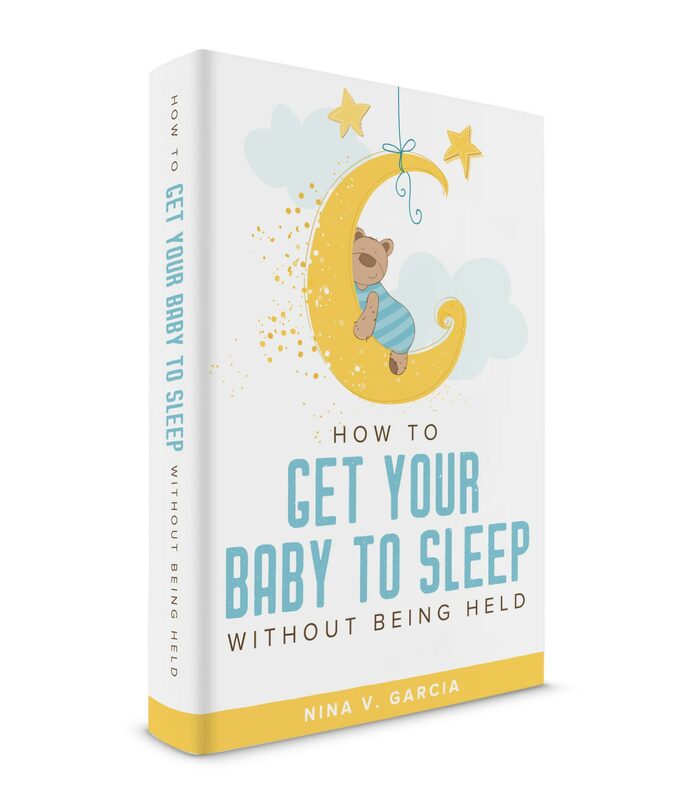 I understand how limited your time is right now, and that you need just the tips to help your baby sleep better. This newborn stage is tough, no doubt. 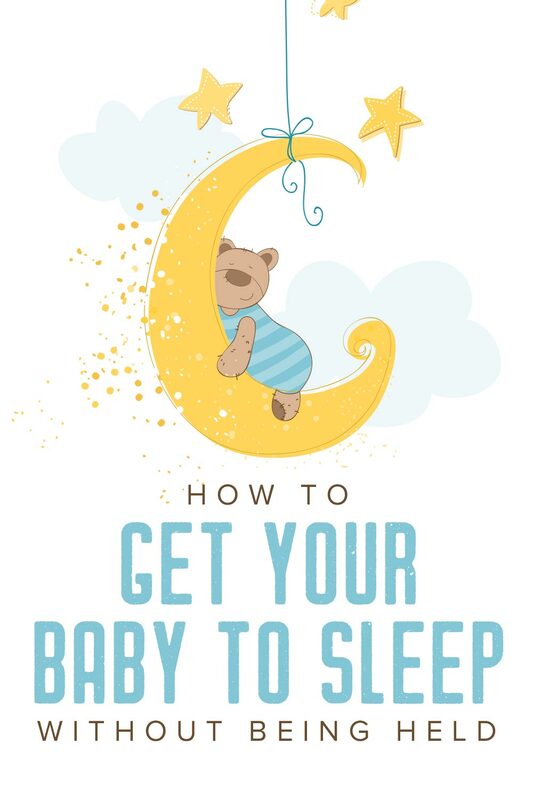 I hope that, with this guide, you can help your baby get the sleep he needs—and not always in your arms.